Kingman Place Historic District is composed of a well-preserved collection of square house plans. 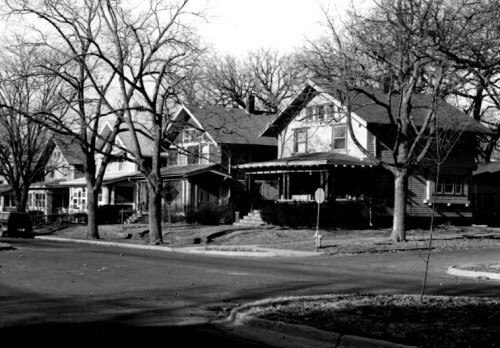 These houses, dating as early as 1902, mark the emergence and early definition of this house type in Des Moines. Also notable is the near-absence of the bungalow type which also emerged locally during the same era. Most Des Moines additions failed to fill in rapidly and consequently exhibit a broad range of periods and type styles. Kingman Place was successful inasmuch as it was completely developed in just a few years.